Our toddlers have shown lots of interest in the story "Aliens love underpants" . We created a gooey tuff spot with Ailens and spaceships for the children explore. 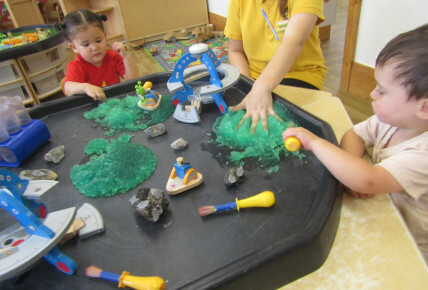 They enjoyed using their hands and paintbrushes to explore the Goo and discussed the textures they could feel .